Auditorio del Instituto de Investigaciones Sociales, UNAM. Circuito Mario de la Cueva s/n. Ciudad Universitaria, Ciudad de México. 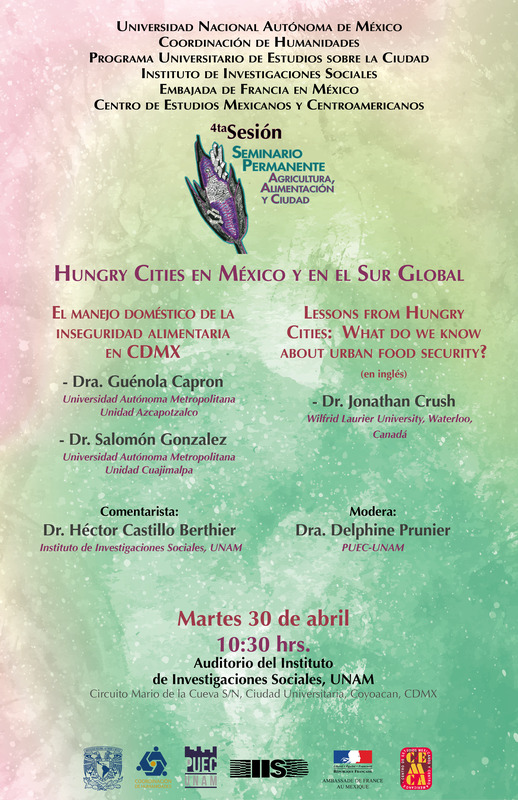 Lessons from Hungry Cities: What do we know about urban food security? Dr. Jonathan Crush (Wilfried Laurier University, Waterloo, Canadá). Dr. Héctor Castillo Berthier (IIS-UNAM).